Are you tired of living in a world where speed is king and instant gratification is just a click away? You need peace and relaxation! You need…a beach condo! But…you need a place that does double- or even triple-duty. A place where you can feel at home - with room for your things PLUS a gorgeous updated kitchen. A place that makes you feel like you’re getting-away-from-it-all, with walk-on-water views & lifestyle amenities. A place that’s affordably priced. A place that could even put money in your pocket from vacation rentals when not occupied by friends & family. Here it is! 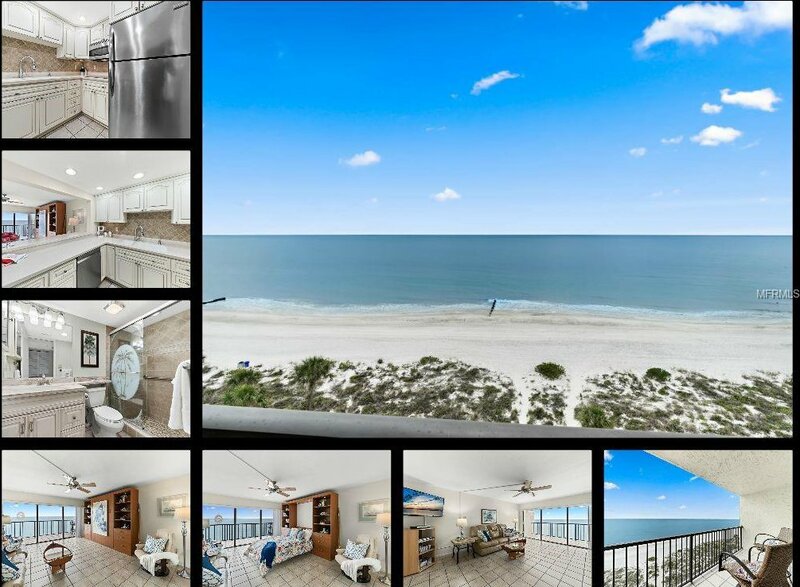 This rarely available DIRECT GULF FRONT studio unit features easy-care tile flooring, a full kitchen with updates that include neutral white cabinets, stainless steel appliances, & solid surface countertops. This PET-FRIENDLY furnished condo (Murphy Bed + Sleeper Sofa) boasts the lowest maintenance fees, inside washer/dryer, 2 roomy closets, covered balcony, private storage, covered parking space, coded entry, & generous 14-day rental policy. For a fraction of the price, you get to enjoy the same GOLDEN SUNSET VIEWS enjoyed by owners of million-dollar beach properties. Easy on-and-off access to the barrier islands, great walkability to restaurants, grocery & drug stores, boutique shopping, post office, and public library. Walk to nearby waterfront ROC Park for local concerts, festivals, walking trails, ball fields/courts, yoga classes, playground, dog walking, water features & fishing pier. See it today - start relaxing tomorrow! Listing courtesy of BLACKBURN COASTAL REALTY. Selling Office: NEXTHOME BEACH TIME REALTY.